Local Moving Services within Miami, Fort Lauderdale area Florida. 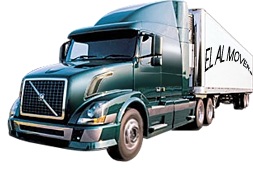 El Al Movers assures you safe and reliable transport of your belongings. Our movers are specially trained in packing and crating, unpacking and storage, furniture disassembly and reassembly, custom crating of fine art, marble and antiques, residential move, commercial move, office move and all type of piano moves. Our main priority is customer satisfaction, and this is why our relocation consultants dedicated there time in assisting you with all the details for the move. We will provide you with a comprehensive pre-move orientation about each step of the moving process, and we will analyze your individual requirements and needs as well as answer all of your questions. El Al Movers is your best choice for a Miami Moving company. We have movers throughout Aventura to help you move within Miami and from Miami to anywhere in the state of Florida. We specialize in moving from Miami, FL. We have the experience to meet your needs and exceed your expectations for movers in Miami, Florida. Life is full of heavy stuff. Why add moving to your load? Let us carry it. At El Al Movers, our experience, training and above all our peak performance will insure your satisfaction, making us your Miami Moving Company. Our crews carefully pack your possessions and take the same care with the delicate items as the bulk ones. We have years of experience in properly packing, handling and transporting your possessions. Your possessions are priceless to you, so they become priceless to us. Give us a call and let us move you to your new horizon. You can simply call us today!